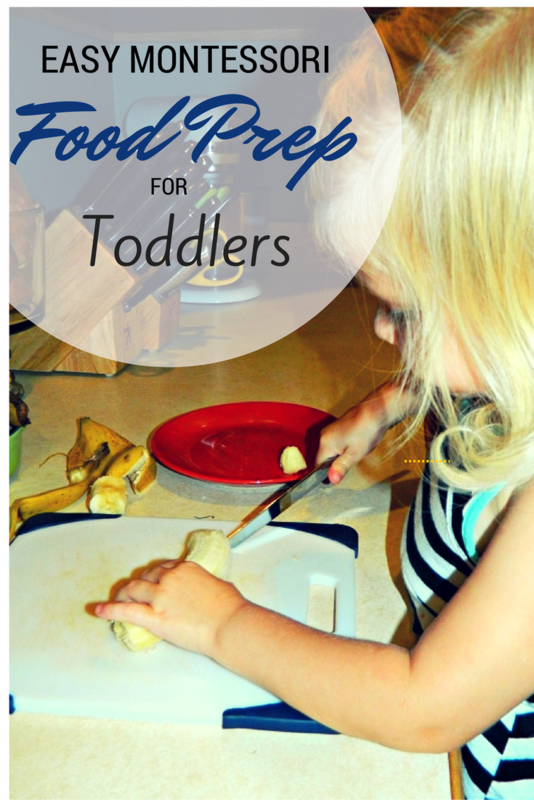 I am excited to share with you 4 easy steps to have your toddler help make their own snack! We love having the kids in the kitchen with us and helping them make their own snack is heaven to a busy mom's schedule. Today we had a banana, but this will work for any fruit or vegetable that does not need to be cooked. Enjoy! 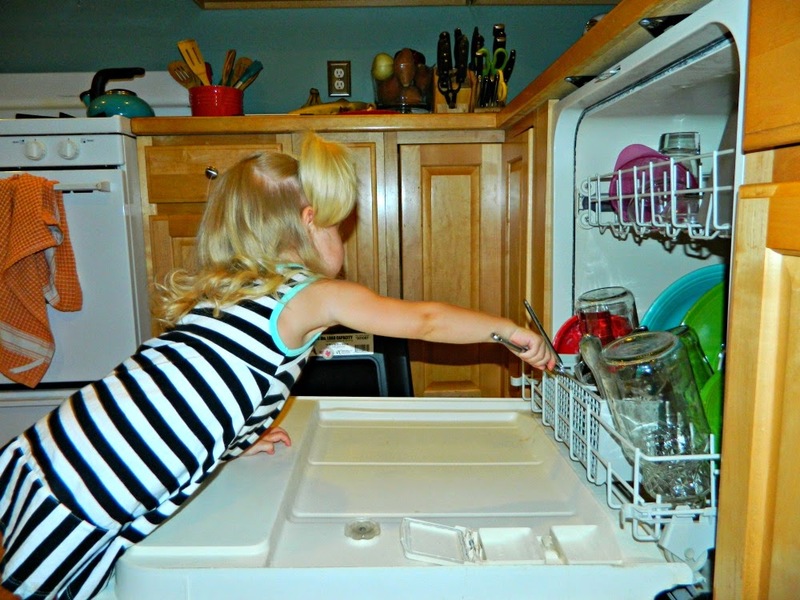 Having the kids in the kitchen is so rewarding; for you and the child. We have been using the book Kids in the Kitchen: Simple Recipes that Build Independence and Confidence the Montessori Way in our home for the last couple of years. This book really helped me introduce the kitchen to my children and help them feel comfortable in the kitchen. Now it seems like it is old hat for them. One thing both of my children love to do is prepare their own snack. As a busy mom I'm thrilled when they ask if they can have a snack and precede to complete the process with little guidance from me. Today I watched Avalyn (2) prepare a banana for snack and wanted to share with you the easy steps I used to help her on this amazing independent process. To prepare fruit or vegetables for snack these materials should be close to the same. 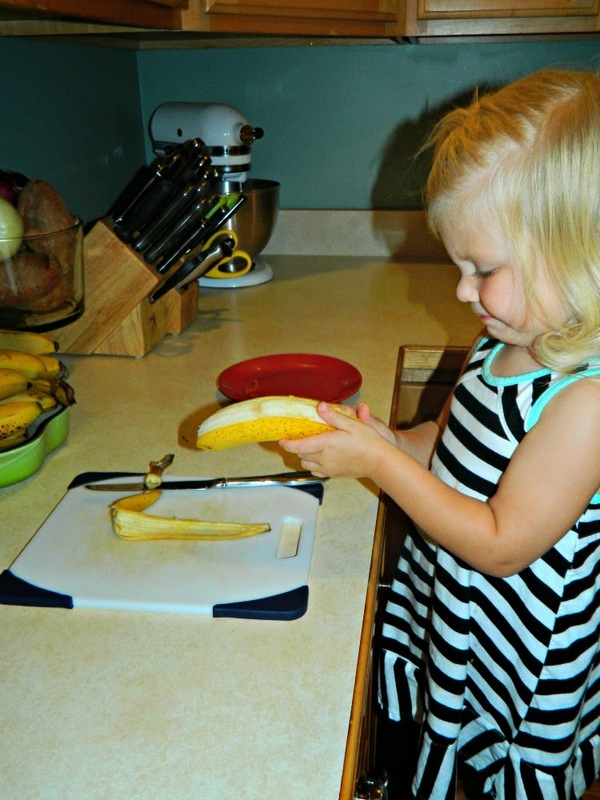 For this snack, Avalyn chose to gather a cutting board (we use a no slide board), a butter knife, a plate, her stool, and of course her banana. 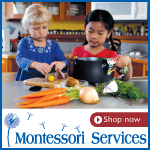 There are a lot of great stools out there to help your little one feel comfortable in the kitchen. We chose to use a painters stool. We bought it from Lowe's Home Improvement, but I'm sure any local hardware store will have something similar. It is light and durable, but is plastic. The kids can move it around easily and the price was right. A learning tower is perfect for kitchen work! Let your child explore! I know I'm guilty of having my kids work through projects quickly without letting them really take in all the new experiences. 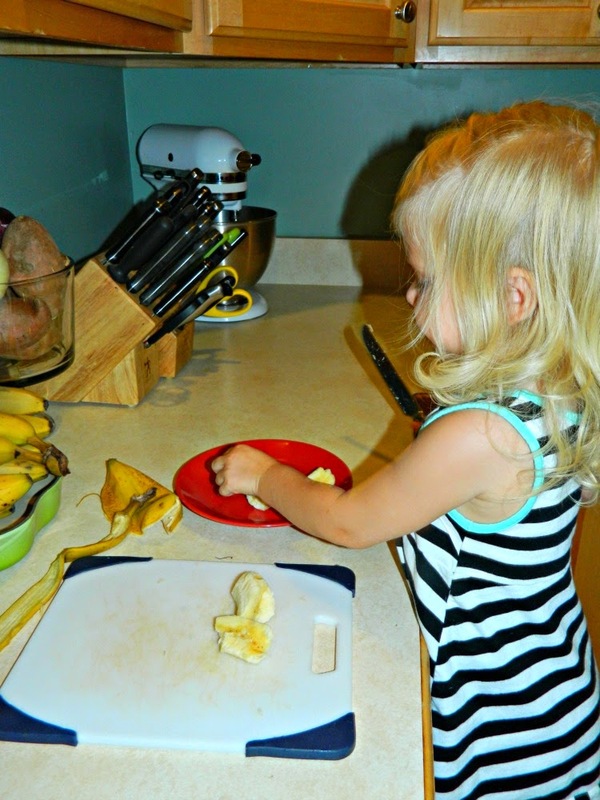 Bananas have many different textures that a child might want to stop and explore. Don't rush through that little excitement of exploration. My first amazing experience with Montessori was watching a video like this of a little person cutting a banana and the joy in their eyes to know they did it! I knew after seeing others do it that my kids could do it too. Just take a little practice and patience. Avalyn started by peeling the banana. My first lessons was to demonstrated how to peel a banana. We went through a couple smashed bananas before we ended up with a peeled banana that wasn't mush. 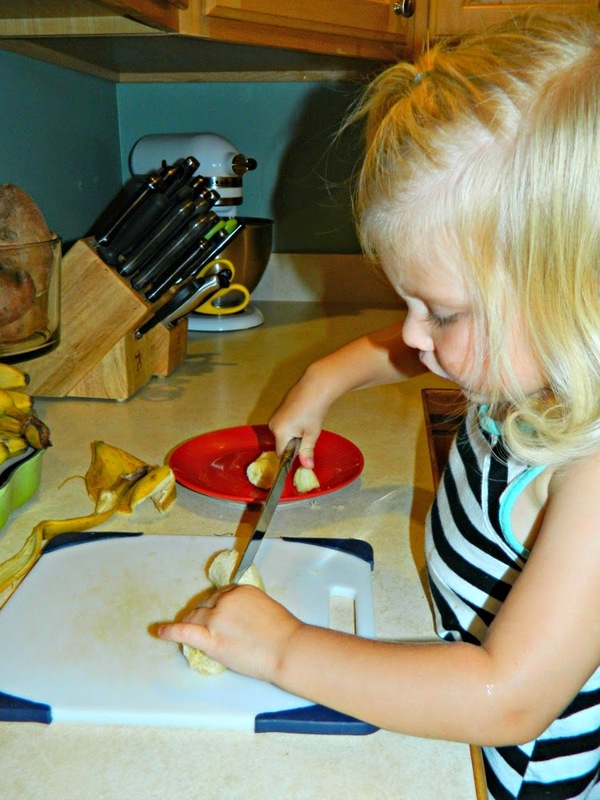 Then, she worked on cutting the banana. I demonstrated how to cut the banana in circles, but she has her own beautiful technique. Lastly, Ava put her cut banana pieces on a plate. This is a step I don't usually allow the kids to skip. Sure they could have snack right off of the cutting board, but we have a routine to eat at the table so I prefer to ask them to plate their snack and move to the table. You can use whatever works well for your family. These two steps are sometimes switched. Sometimes the kids would rather eat their snack first then move back to the kitchen and clean up. I'm good with either as long as it gets done. This was an easy clean up snack. Avalyn just put her knife, cutting board, and plate in the dishwasher when she finished and then threw away the banana peel in the trash. All in all these steps to NO work from me. I am around in the kitchen when the kids prepare their snack, but usually only give slight corrections if need be. 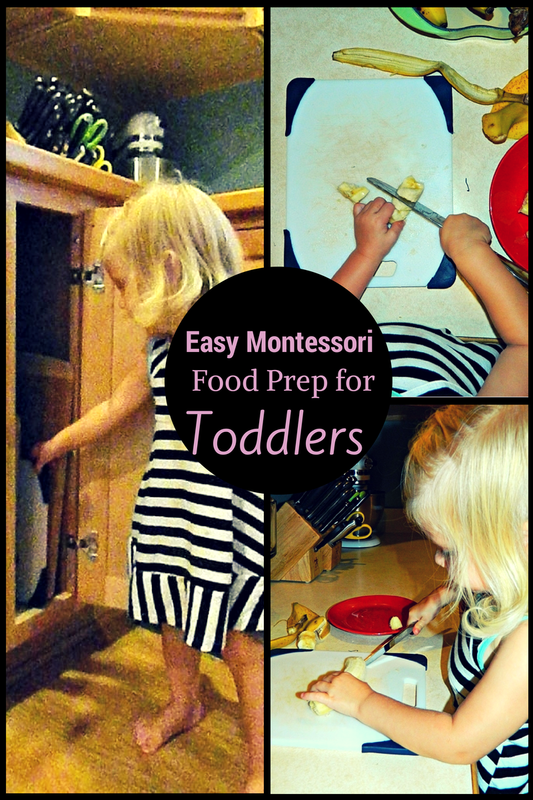 More kids and Montessori food prep on our blog:1) Montessori Squeeze Orange Juice Party and 2) Montessori Practical Life Salad. Enjoy! 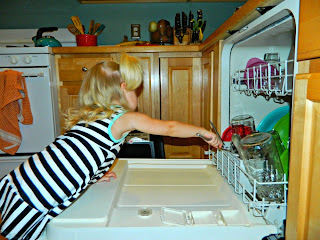 I want to share a couple of other sites I really love to use for kids kitchen motivation! Have fun exploring in the kitchen! 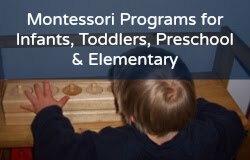 Do you need affordable help setting up your Montessori-inspired environment, homeschool planning help, or just need someone to bounce ideas off of? Find all the consulting information here!